elinkmall devotes to offering the best deals ranging from everything you need. 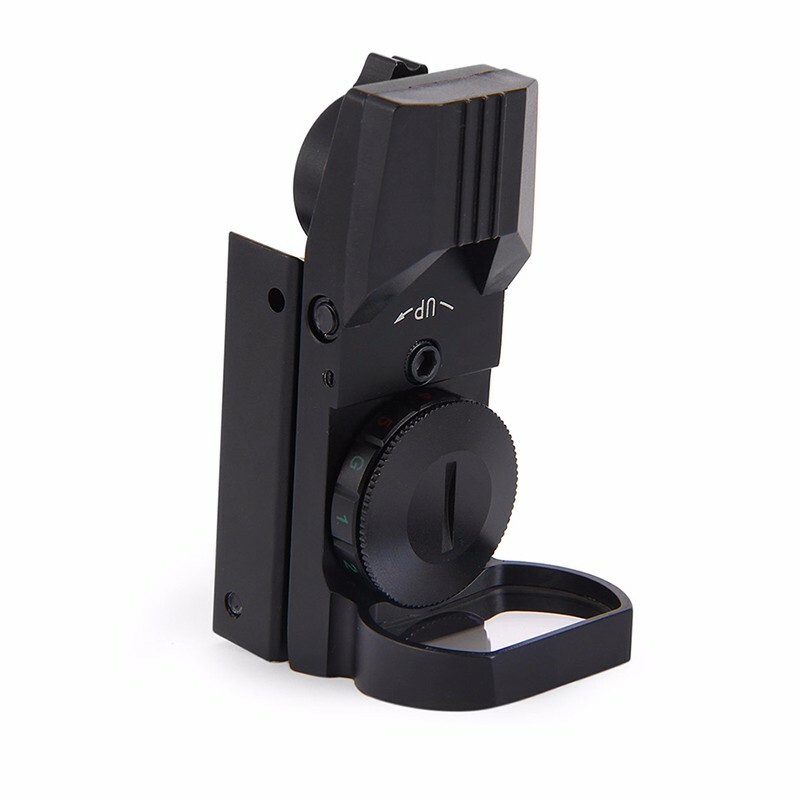 -built by matt anodized aluminum alloy with black treatment. -Lightweight, compact, waterproof and shock. -the lenses with Anti-glare reflective coating which gives good optical clarity. 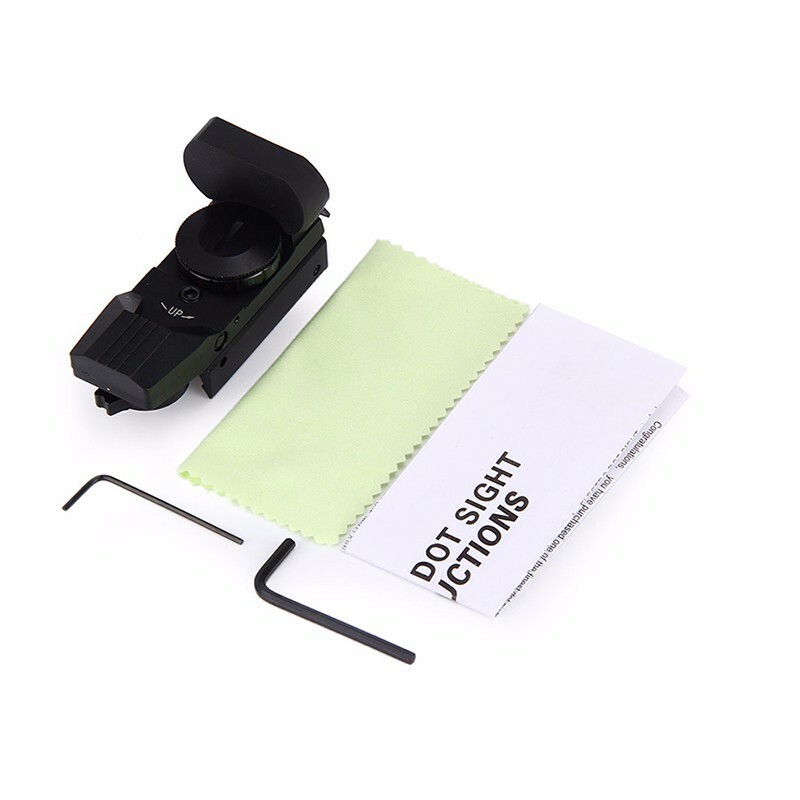 -design Tubeless with 22x33mm opening reflex, offers a wide field of view. -A Rheostat lighting positions (Red and Green). 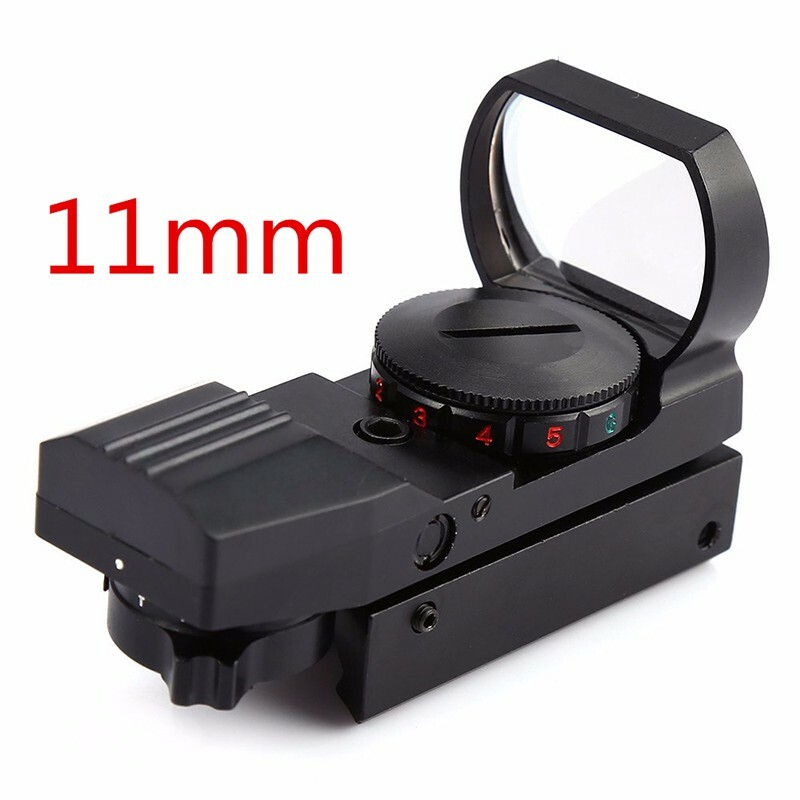 -installed 4 different reticles (Circle Dot, Cross, 10 and 3 MOA MOA) for maximum versatility. -type head screw height and derivation click adjustments, with locking screw. 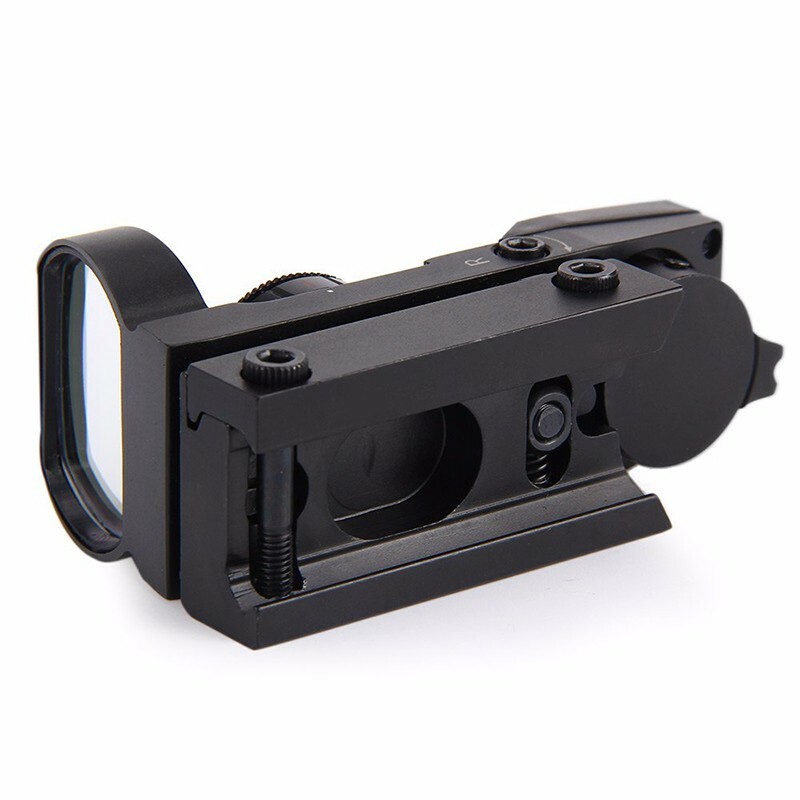 -with integrated 20mm support rail. 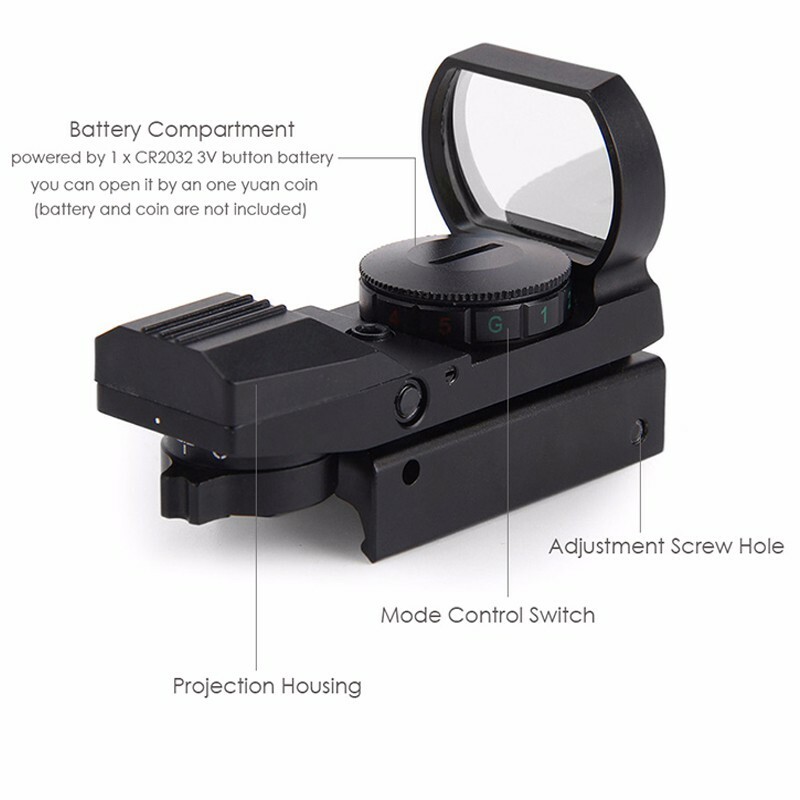 -suitable A rapid firing or shooting of moving targets besides normal shooting. , fueled by 1 x CR2032 lithium battery (not included). 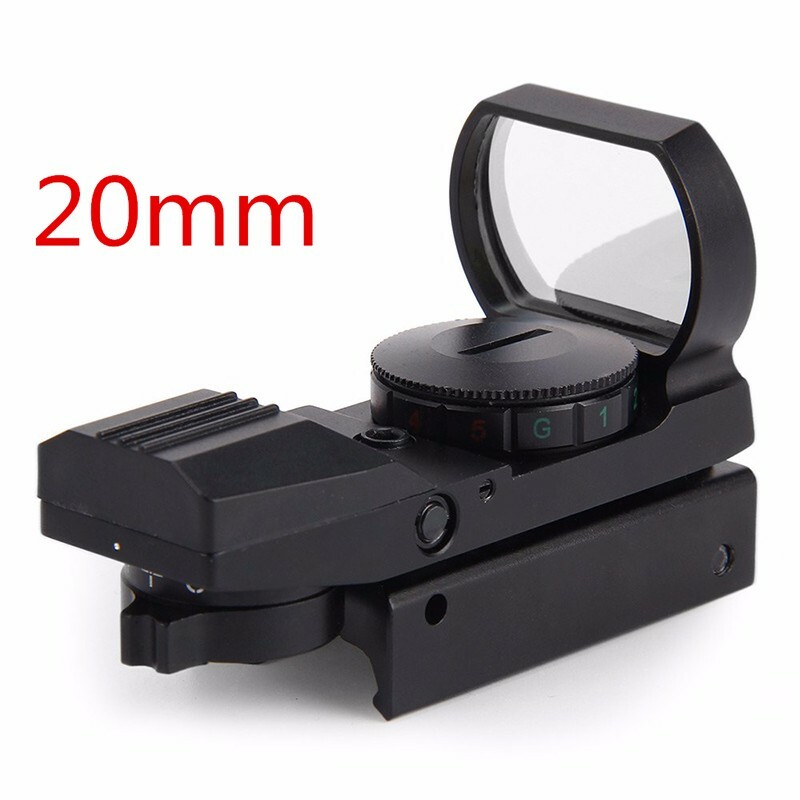 New 11mm/20mm Dot Rail Hunting Softair Viewfinder Optical Scope Holographic Red Dot Viewfinder Reflex 4 Pattern Gun Accessories Specification: objective lens size: 33mm Colour of product: Black length: 8.5 cm Product Weight: 0.230 kg package weight: 0.230 kg Product dimensions (L x W x H): 8.50x4.00x5.50 cm / 3.35x1.57x2.17 inch Package size (L x W x H): 11.80x9.00x6.00 cm / 4.65x3.54x2.36 inch Package Contents: 1 x Hunting Tactical Holographic Reflex Red Green Dot Viewfinder 20mm 1x22x33, 1 x Lens, 1 x Key, 1 x Cleaning Cloth 1 x User Manual (English) Features: -built by matt anodized aluminum alloy with black treatment. -Lightweight, compact, waterproof and shock. -the lenses with Anti-glare reflective coating which gives good optical clarity. 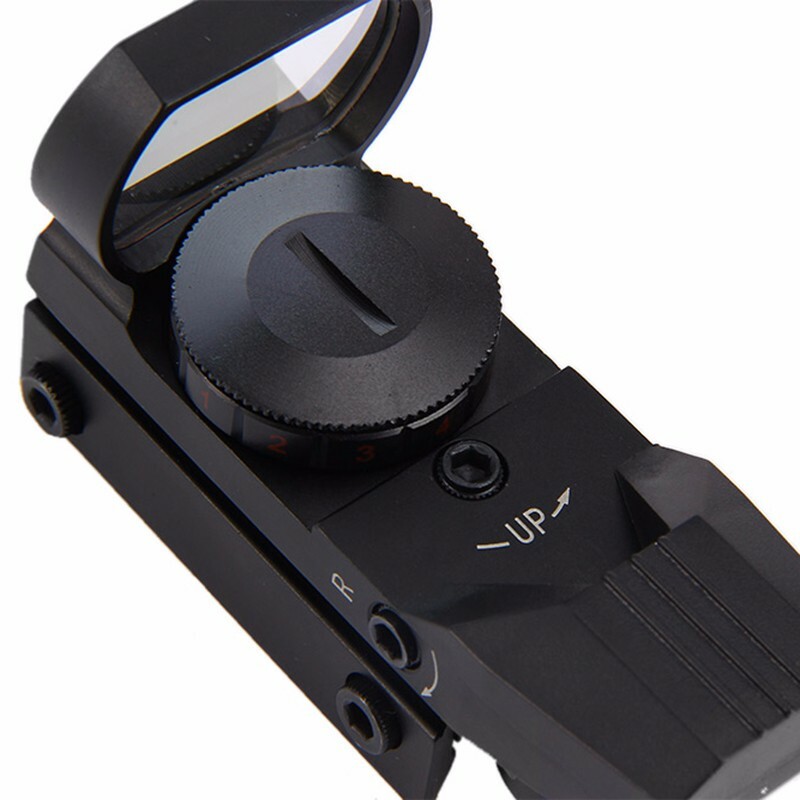 -design Tubeless with 22x33mm opening reflex, offers a wide field of view. -A Rheostat lighting positions (Red and Green). 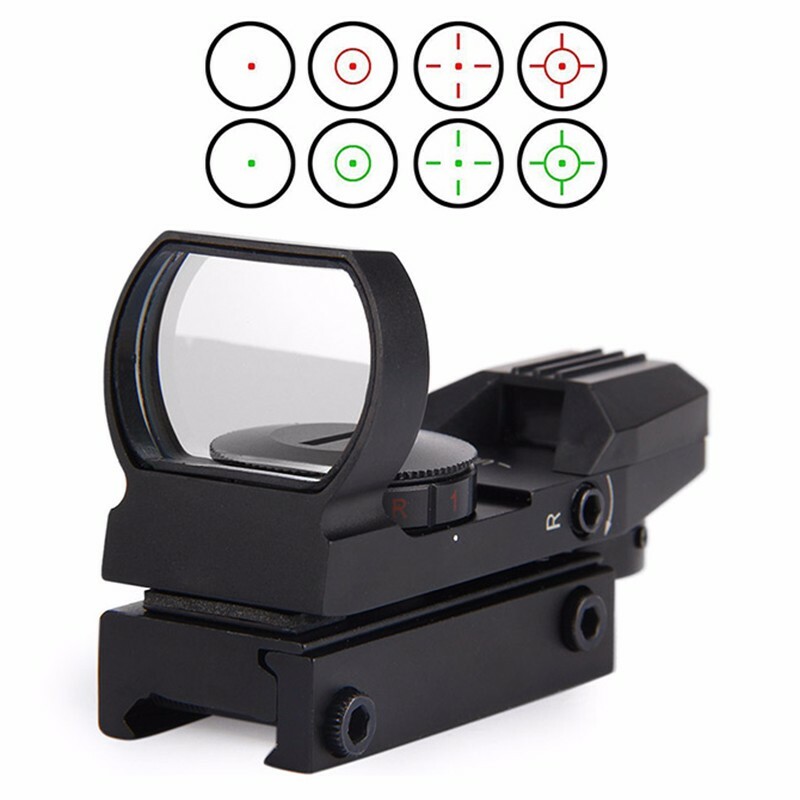 -installed 4 different reticles (Circle Dot, Cross, 10 and 3 MOA MOA) for maximum versatility. -type head screw height and derivation click adjustments, with locking screw. 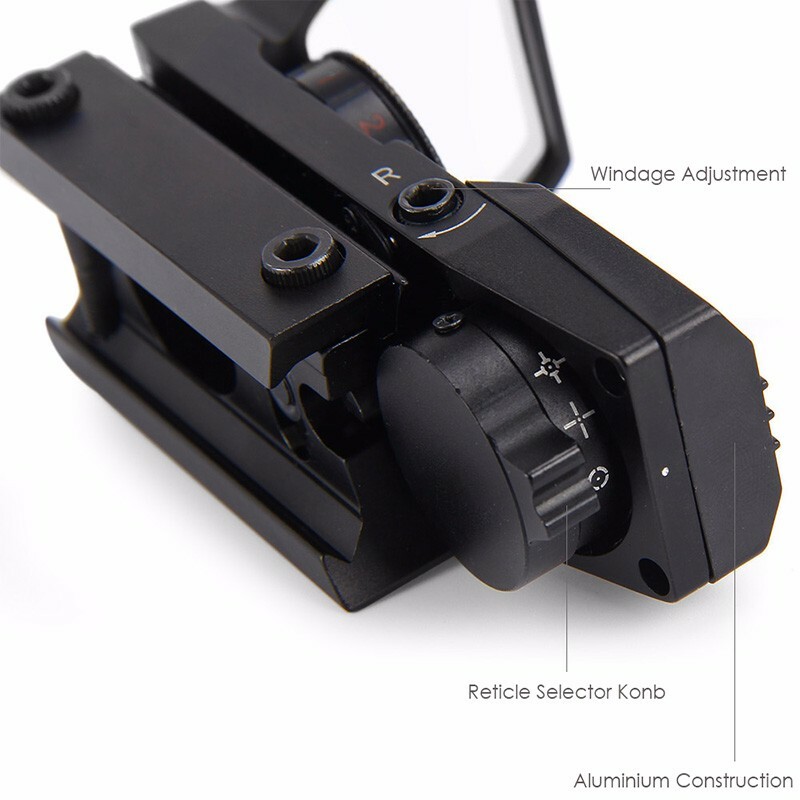 -with integrated 20mm support rail. 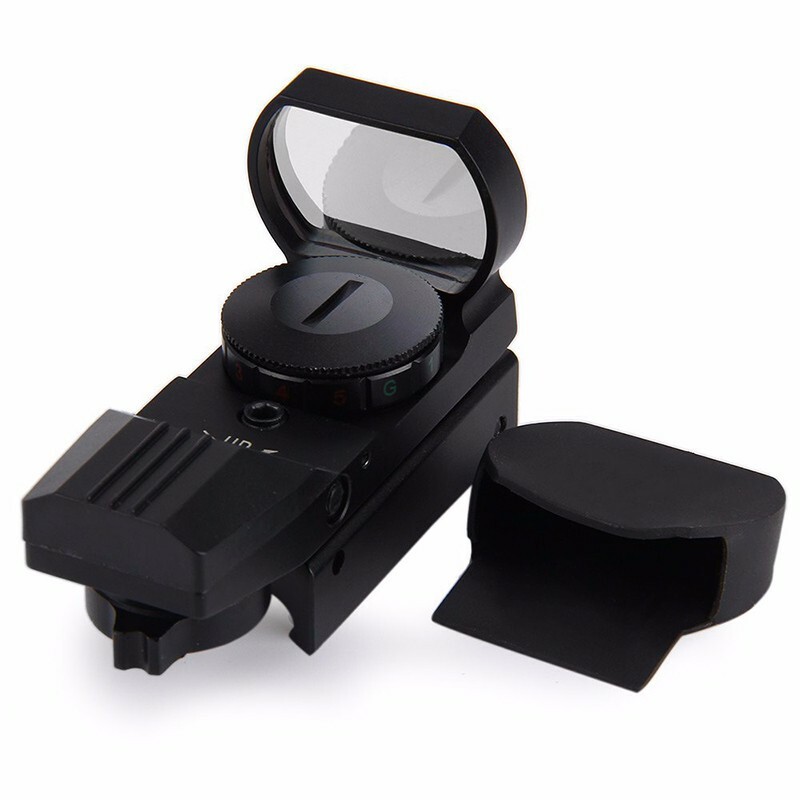 -suitable A rapid firing or shooting of moving targets besides normal shooting. , fueled by 1 x CR2032 lithium battery (not included). Order processing time usually takes about 3-7 days, but may take up to 2 weeks due to a high volume of orders. Preparation for delivery (quality checks, packing, paperwork, etc.) usually takes 3-7 business days and is NOT included in the overall "shipping time". All packages have specific tracking information. You will receive an e-mail notifying you once your order has shipped. The email will include a unique parcel tracking number. The status of your order can be reviewed by logging into "My Account". 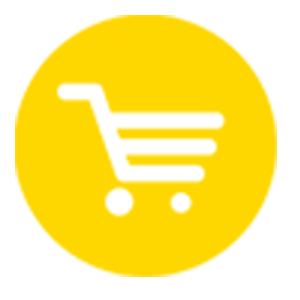 Click on " My Order " to review your order status and/or obtain a tracking number. Please contact us world@elinkmall.com, if your tracking number is not up after 2-3 weeks. If your product is defective or doesn't work properly, let us know and we'll send you a replacement one. We believe in our products so much that we offer a 30-day No-Hassle refund policy. If you're unhappy about your purchase, send us the product back and we'll refund your money immediately. If you need to change or cancel your order, please contact us, send email to world@elinkmall.com. We process and ship orders quickly (we’re fast!). Once our warehouse has processed your order, we will be unable to make any changes. Please ensure that no damage to the product. Online direct refund. Or PayPal, Stripe. Refunds usually are done in 2-3 days according to different payment, the specific arrival time depends on the bank's processing time. ...and receive -20% coupon for first shopping.